How compliant is your college or university with GDPR? While the vast majority of US-based higher education institutions have at least one international student, nearly 50 percent don’t consider themselves fully compliant with GDPR. 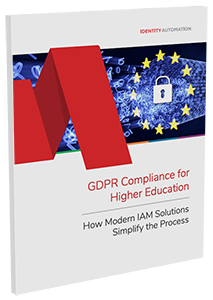 Whether your university is dealing with one European or 100,000, the result is the same: GDPR compliance is mandatory, and the time to comply is now. If your institution is looking for clear, actionable steps for navigating the road to compliance, then check out this guide.